Jakarta has been listed as one of the world’s most congested cities, and recently, with the ongoing construction of a few infrastructure projects around the city, the traffic has gotten worse. To help ease congestion in the city, a few measures have been implemented over the years. In 1994, the 3-in-1 policy was applied, where only cars with 3 people in it can pass through specific roads on certain times of the day. But in May 2016, then-Jakarta governor Basuki Tjahaja Purnama, also known as “Ahok”, changed the rule into the odd-even policy. The odd-even policy stipulates that cars whose license plate ends in an odd number are only allowed through certain roads and tollgates on odd-numbered dates and vice versa, during specific times of the day. The policy on Jl. Sudirman and Jl. MH Thamrin was recently changed. Previously the policy applied from 7am to 10am. 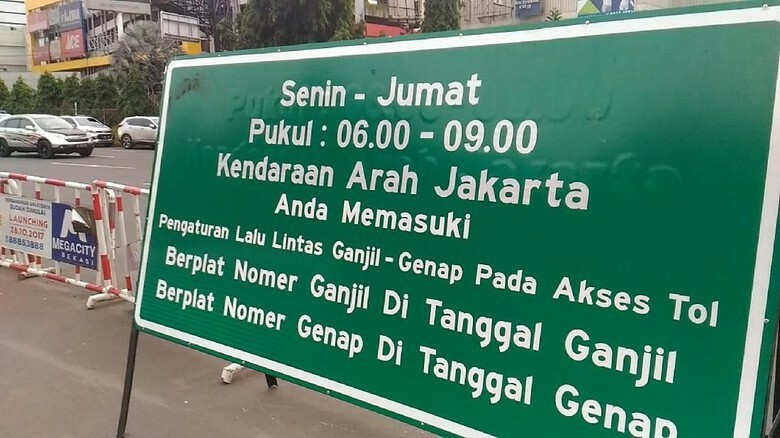 “By synchronizing the policy, more people will be discouraged to travel by car because they would have to depart very early in the morning,” Greater Jakarta Transportation Body (BPTJ) spokesperson Budi Rahardjo said.